It can be heart-breaking watching your baby suffer from a cold. They can cause a great deal of discomfort for your little one and affect their breathing, feeding, and sleeping. I remember our first one’s first cold. It was like he was running out of batteries and was so sad to see. We usually take our little ones to the pediatrician if the cold lasts for more than a couple of days. If there’s any sign of fever, we’d go a little bit sooner. The rule generally is “If there’s any doubt – go to the doctor!”. However, there a few thing you can try at home before making the trip. 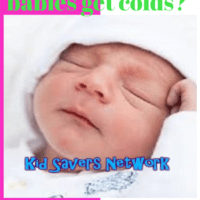 If you’re not sure what to do when baby has a cold – read on! 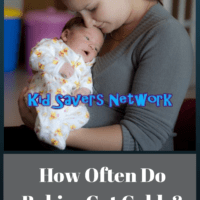 How Often Do Babies Get Colds? 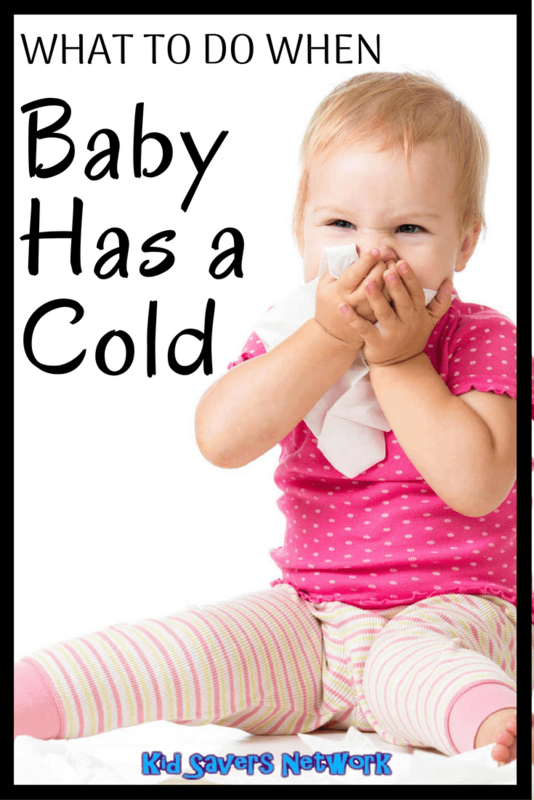 It’s not uncommon for babies to catch a cold up to 8 times in their first year alone. Babies are especially vulnerable to colds as their immune systems are still weak and developing. Common colds in infants may last for as long as 10 days. This is a long time to be a concerned parent! Here are 7 things you can try when baby has a cold. Breast milk is a great “cure all”. Try to get your baby to drink more fluids and if your baby is old enough some water too. The water keeps the baby hydrated and keeps the fever down in case the cold is accompanied by fever. 2. Wipe your infant’s nose more frequently for easier breathing. Dabbing some petroleum jelly on the outside of your baby’s nostril can also reduce irritation. 3. Infant ibuprofen or paracetamol can help to relieve fever. However, paracetamol should only be administered if the baby is more than two months old, while ibuprofen should be administered if the baby is at least three months old and not under 5kg. It is important to get information about the accurate dosage from a medical specialist. 4. If your little one has trouble feeding due to a stuffy nose, adding a few drops of nasal saline can help unblock their nose. The saline can be acquired from most local pharmacies. Apply the drops 15 minutes before feeding your baby. 5. A vapor rub such as “Vix” can also help a baby breath more easily. The rub should be applied to the baby’s back and chest. It should not be put on the nostrils as it can restrict breathing. 6. Steam can help loosen blocked airways and provide some relief. Get into a steamy bathroom with the baby (such as after a bath or shower) and stay there for a few minutes. 7. Ensure the baby gets enough rest and sleep. Discourage visitors during this time. Breastfeed for as long as possible. There’s so many good nutrients in breast milk that really help an infant’s immune system stave off infection. Don’t allow anybody who’s sick or has a cold around the baby. Ensure visitors and anybody who handles the baby (including yourself!) thoroughly washes their hands.